Home / Blog / Olive Oil & Plant Uses / Pair Extra Virgin Olive Oil with Fish for Improved Health Benefits! Many people use cooking oils to fry a variety of foods at home, including fish. There are a couple different methods of frying: deep frying, which results in the food being completely immersed in the oil, and shallow frying, a partial immersion. The latter is, unsurprisingly, the much healthier option. Many people use vegetable or canola oils, or even lower-grade oils, simply because they are cheaper. But there are so many health benefits associated with extra virgin olive oil that frying is another area in which you can substitute it into your diet and continue improving what you’re putting into your body. One recent study published in Food Research International focused on how frying fish, in particular, affects the lipids in the fish and how cooking oil changes during shallow frying processes. It compared extra virgin olive oil to sunflower oil. Both of the oils and the fish samples were subjected to a pair of different types of shallow frying: in a pan over electric heat, and in a ceramic dish in a microwave. The results of the study showed extra virgin olive oil is a significantly more stable cooking oil than sunflower oil, retaining far more of its nutritional value. No matter what oil is used, there will be some level of lipid migration that occurs between the fish and the oil used. The extra virgin olive oil samples were actually richer in saturated fats and omega 3 after frying, while the total fat content of the fish dropped in every sample. Additionally, the lipids in each oil tend to migrate into the fish. 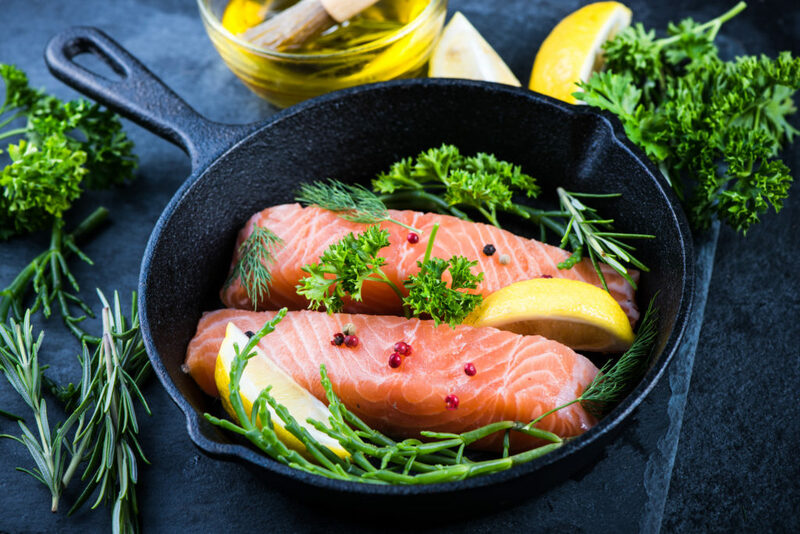 Therefore, using extra virgin olive oil, a much healthier oil than others commonly used in the kitchen, results in a more healthy transfer of lipids and substances between fish and oil. For more information about ways you can use extra virgin olive oil in the kitchen to improve your overall eating habits and lifestyle, contact us today at My Olive Tree.